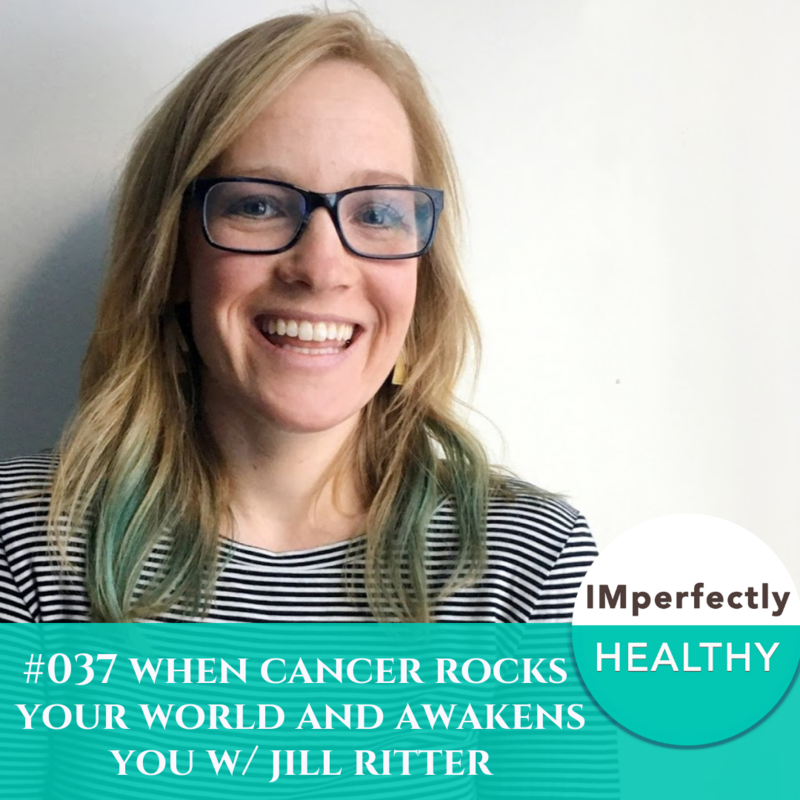 In this episode, I interview my inspiring and sweet friend Jillian Ritter on how she chose an empowering path facing Cancer 3 years ago, and how it transformed her body image, mindset, beliefs about life (and herself), and her career. Jill approaches life newly now that she is on the other side. Jill’s passion for personal wellness came to light when she received this very serious health diagnosis of Cancer. Once the initial shock subsided, she knew she wanted to empower herself to heal. In addition to her never-ending research, she created an integrative team to support herself — a naturopathic doctor, massage therapist, acupuncturist, therapist, a nutritionist, a mindfulness teacher. how Cancer healed her body image and changed the way she lives her life. the many lessons she learned about life, her body and herself. how to continues to find balance between work and play, healing and living, doing and being. Get my 5 Ways to Overcome Your Food Cravings FREE. In this episode of IMperfectly Healthy, I interview Brenda Walding – a Holistic Wellness & Transformation Coach who specializes in empowering women to overcome chronic illness, reconnect with their authentic self, and live a life that they truly love. She is a Doctor of Physical Therapy, Functional Diagnostic Nutrition practitioner, TaoFlow yoga teacher, HeartMath Certified Coach, author, and co-founded NativePath- a holistic nutrition and lifestyle company. Brenda just published her first book, Sick of Being Sick: The Women’s Guide to Conquering Chronic Illness. Get her book for FREE, HERE. 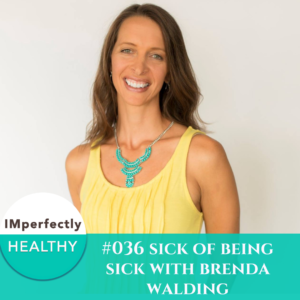 Brenda is passionate about natural healing and spreading the message that we all hold within us the power to heal and be well. a sneak peak into the amazing road map Brenda created to help women powerfully navigate illness.